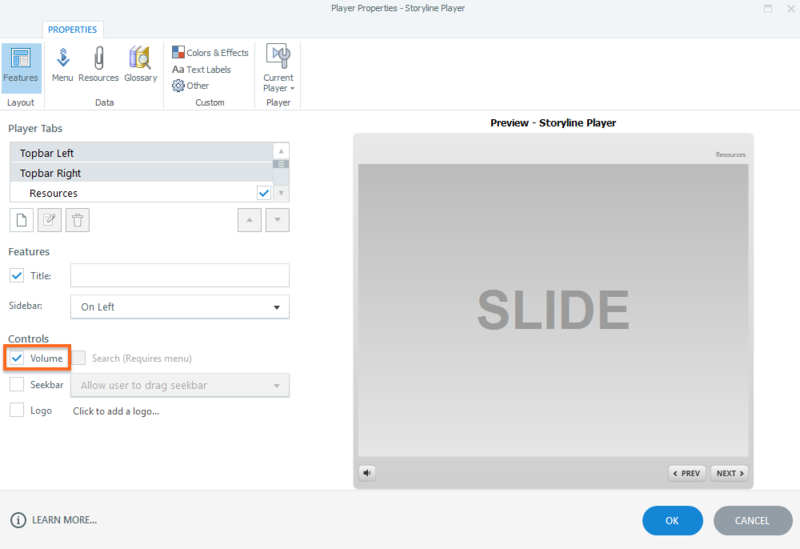 My customers only want the Volume to be shown on certain slides, since only those specific slides have audios. 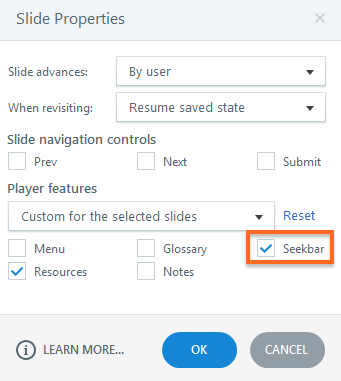 For those slides without any audios, they don't want any seekbar or volume to confuse people. Ahha, sorry, I just found yes! We can customize Seekbar to be shown on specific slides, but how about "Volume"? You can selectively turn on/off the seekbar (in the slide properties), but the Volume button will be on/off for the entire course. Here's a tutorial on Adjusting Slide Properties that you mind find useful! Learners using mobile devices will default to using the up down buttons the device as they have now become accustomed to (most apps don't have volume options at all). Desktop users have the volume control also. "My thoughts are the volume button is pretty much redundant these da..."